Buy 1 - 9 for $19.49 ea. Buy 10+ for $15.49 ea. Buy 1 - 9 for $10.99 ea. Buy 10+ for $6.99 ea. 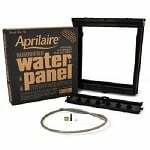 The Aprilaire 10 replacement humidifier water panel filter is a key component that helps generate humidity in whole house humidifier systems. When there is moisture in the air it becomes easier to breathe and helps soothe troublesome dry-air symptoms. The Aprilaire 10 collects water to produce humid air that&apos;s delivered through your home&apos;s heating system. Having the proper humidity level inside your home can help reduce your family&apos;s susceptibility to colds, the flu, and other respiratory ailments, and prevent dryness and cracking in hardwood floors and furniture. Lowered heating costs is an additional benefit of the Aprilaire 10. Humid air feels warmer than dry air so you can turn down the thermostat and still be comfortable throughout the cold, dry winter months. 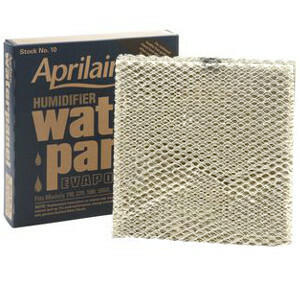 The FiltersFast A10PR Aprilaire 550 Humidifier Panel #10 is the correct replacement for the A10PR R Humidifier Filter. 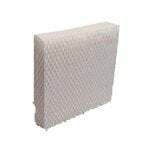 This compatible cool mist humidifier water panel filter is an economical alternative to the OEM Aprilaire filter. The high output and high performance of this water panel helps reduce low humidity conditions in your home that could lead to chronic physical symptoms or indoor household problems. 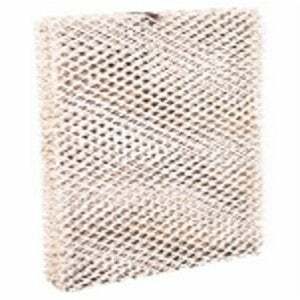 For optimum performance of your whole house humidifier system, replace your Aprilaire humidifier filter every 6 months, depending on usage. 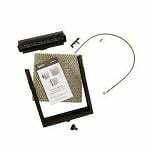 Quick and easy installation instructions are included on the package of your Aprilaire water pad.